Casualty of “truth” in the big battle between law and logic for a correct date of birth of the Army Chief remains hidden. Can truth, army discipline, promotion procedure, speculative line of army chief succession and input of personnel identity have different logic? Unfortunately, truth continues to have 2 faces. First, truth is based on conventional media stories fired by politically powerful ministries with its potential for coercion in the name of `discipline’. Second face of Truth remains a weak participatory team in the ministry inquiring with the potential of a `lever` for improving the quality of army life but trained to obey the superiors. Such teams in the Defence Ministry are responsible to store the correct date of birth & identity of an employee to preserve his self dignity and honour which at times get compromised. General V K Singh birth certificate date correction in spite of open evidences has been refused by defence ministry, Law ministry, AGI and now Supreme Court perhaps to safeguard the old feudal systems in Army under the weak excuse called “discipline”. Supreme Court on Friday hearing refused to accept the date of birth correction plea, pointing out that the Army Chief, who accepted the government’s decision in determining his date of birth as May 10, 1950 on three occasions, could not go back on his past commitment. His petition was disposed of as he accepted the option given to him to withdrawn. This is painted now by media as a `Beating Retreat`. This counselling by Supreme Court also exposes the limitation of the judges as individuals outsourced to settle disputes based on the limited evidences which got precipitated due to poor participatory environment in the defence ministry. Supreme Court while refusing judgement on this issue comments, “We understand your (VK Singh) pain, but you yourself (as a junior in the past) left the final decision to authorities”. 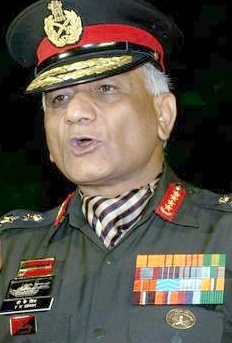 It is clear the judges felt the pain of the disjoint system in the Defence ministry that keep records of the army personals but missed the opportunity perhaps in absence of evidences to reunite the honest and down to earth Defence Minister and the serving General in the Army who is known for his anti-graft crusade in Army. Whistle blowing by General VK Singh in the faulty army systems needs a civilian 100% support and salute. Army Chief may have lost the “age war” but the combat for future systems must go on. The general dared to split open selective identity issues in the administrative systems in the Army which forces to follow seniors blindly but ignore the truth. In the past as documented well by the media, VK Singh was forced to accept the verdict of his seniors in the army who advised him to chill up & wait patiently but at the same time he was asked to acknowledge the separate file for anticipating promotions displaying his false date of birth. Closed door issue about correction in data entry was forcefully dragged on. When VK Singh became chief of Army he exercised his right to reach Supreme Court to expose the old feudal system based on obeying the senior in spite of false facts based on his date of birth. System now stands weak with promotions in Army based on age and not on merit. This faulty system which has been the bedrock of Indian Army under the mask of arm twisting discipline needs to be changed with dignity. Army, in a democratic state like India, is well known for its impartial secular services in serving civilians during crisis like floods, terrorist attack, earthquake and so on. Delay on such petty error which has now been magnified and has challenged the weak systems and refusal of judgment by law makers, law executers and law enforcing agencies shows weak face of Governance. People as law abiders need fast justice driven by truth but the speed and the direction of the truth needs correction. The seeds of justice need to re-sown in the Defence ministry itself via general bodies and correct participation of data monitors in time. When this participatory process is never done the seed for justice remain to be outsourced by the Supreme court counselling who cannot manufacture data and evidences but can only cater justice based on the limited perceptions and documents carried forward to them. Outside the Indian army the report card of government work inspectors is worst. Indian corporate and middle level business houses continue to engage employees, consultants & partners without valid work contracts treating employees as invisible fodder in their personnel endeavour for more profits. Outside army the law enforcement is very weak. Army as role model is the “take away” of Public interest in this conflict. Common Man cannot even dream of Supreme Court settling his conflicts. 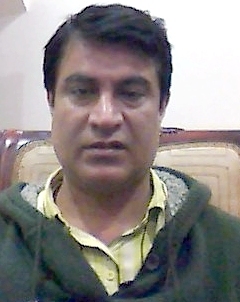 India needs an overall redresser and reform of work systems which at present ridicules the image of Team India. Both Defence minister and General must close this issue of Date of Birth as a `default fruit` of Bad Governance. They must holistically collect new seeds of future justice in work systems for better India and for a participatory Republic. Only in-house participation to sustain the hidden truth can help avoid the dispute over the bad fruit again in future. Media stories are flooded with different trajectories of truth as put forward by several army officers. It is said that as the General’s objections to European Consortium Fighter plane deal due to cost/performance superiority of the French Rafael harmed Italian interests, the Government found a way to ease him out. However, it is 50-50 now. Rafael has won the bid and the honorable SC has disposed the case effectively in favour of 1950. Many including Col. Shivraj a crusader against old systems in India are concerned about how the meek and modest truth shall get “rescued” after this Ceasefire. Fact remains that a soldier on joining the Defence, loses his Fundamental Rights given by the Constitution to unite or to form an association to address his work grievances. It is incumbent on the country to ensure that the Defence Force “spirit” is not neglected by politicians listening favourably to bureaucrats. There cannot be two seeds for a single fruit called truth. To bury grief and to pug the mistrust deficit, there is a need to cheer up by sowing a “participatory seed” in the Defence Ministry for a better Civil-Uniform solidarity. “Discipline” in the army must get modernised first. An army with a modern mind shall emerge more strong. Command in the Defence Forces is controlled not by a salary but by a commitment to the country to safeguard its sovereignty. Absolute faith and trust in the chain of command makes the fighting forces unique. This “do-or-die-never-ask-why” spirit of a soldier appears to be misused by the “babus” to retain their superiority A society grows wise when honest boys plant trees whose shade they know they shall never sit in. Shade today is getting more valuable then fruits as a safe resource for future generations to use.